*Colors vary upon availability* Guaranteed to deliver smiles a plenty! Bursting with a pretty mix of lilies, roses and gerbera daisies, this Enjoy Your Day Bouquet is perfect for an anniversary, just because or any festive occasion! 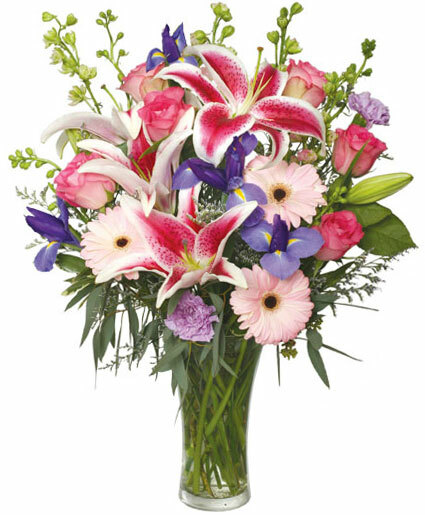 Order North Chili, NY flowers now from our website or call our shop today!